A stunning defeat for CAIR in an unlikely place. A recent legal victory by Freedom X upheld the right of private citizens to discuss openly sharia law at a Knoxville, Tennessee, high school. “This is a victory for free speech,” Freedom X’s President William J. Beckerrightly explained, in yet another instructive example of Islamists seeking to subvert the United States Constitution’s First Amendment. A local Knoxville chapter of ACT! for America began the case by arranging an April 24 evening town hall atFarragut High School (FHS). The event featured Dr. Bill French, Center for the Study of Political Islam founder under the pen name Warner, and Matt Bonner, regional director of the Crescent Project, a Christian evangelization ministry for Muslims. They intended to address the encroachment in America of sharia, vaguely described in one online report as “Islamic laws governing worship and lifestyle.” Becker correctly clarifies that “Sharia is incompatible with our constitutional and legal protections” in numerous ways. Principal Reynolds’ April 10 letter to Knox County Schools Superintendent James P. McIntyre, Jr. shared Hooper’s sentiments. “Groups promoting hate rather than tolerance” would have the event “serve as a public forum for harassment and bullying practices that contradict the open-minded, academic discussion we seek to…foster at” FHS, Murphy wrote. The event would generate “little positive press or educational benefit,” yet “polarize our community” when “deemed ours by association.” Concerns of “potential backlash” and “future security threats” from “retaliation of opposing groups” existed. These “expressed concerns…about…disruption” from an event unsuitable for “a safe, healthy and comfortable learning environment” caused McIntyre to rescind ACT!’s invitation in an April 11 letter to its Knoxville chapter leaders. A Knoxville school official was “happy to announce” ACT!’s uninviting. Hooper boasted of the school’s decision, arguing that “this event in a public school would send an implicit message of endorsement for the bigoted views of the speakers.” Knoxville schools must “remain a safe place for all students,” concurred Remziya Suleyman from the Tennessee-based Muslim organization, American Center for Outreach. On August 4th, Peach and French with Becker as counsel sued the school district for violating his First Amendment constitutionally protected rights. “It is unfortunate we have to educate the educators,” Becker stated in filing the lawsuit to coincide with the school year opening, but the First Amendment’s “freedom of speech…distinguishes America from Muslim nations.” “CAIR and other terror-affiliated groups are exploiting our laws,” Becker analyzed, “to erode…freedom of speech…part and parcel of a greater plan” for an “Islamic caliphate.” “Unfortunately…as Muslim activists play the victim card,” this trend will grow, even though blasphemy laws are unconstitutional. As with a prior June 2014 Chicago CAIR lead protest involving another instance of ACT! using public facilities for an anti-Sharia program, America’s First Amendment protections have stopped those who would inhibit open discussion of Islam. Vague “hate” or “disruption” claims have not silenced indirectly in America speech censored directly in majority-Muslim countries or “multicultural” sensitive Europe. The Knoxville case, a precedent that will not remained unnoticed, has shown groups like CAIR that Americans will not hesitate to defend free speech under assault even in the land of the free. In 2010, Freedom X sued to vindicate the right of public school students to express their patriotic pride by wearing American flag-themed clothing even on May 5 , the day the Mexican-American holiday Cinco de Mayo is celebrated. Ultimately, the 9th Circuit Court of Appeals ruled that the wearing of such attire poses a safety challenge that frees school officials to silence such expression. William Becker’s opinion: Should the U.S. Supreme Court hear MH’s Cinco de Mayo controversy? In 1984, Gregory Lee Johnson, protesting outside of the Republican National Convention in Dallas, Texas, poured kerosene on a U.S. flag and set it on fire. He was convicted under a Texas criminal statute. Concluding Johnson’s First Amendment right of free expression had been violated, the United States Supreme Court overturned Johnson’s conviction. Flag desecration was thus declared a constitutional right regardless of who it offended. What the courts have never been asked to decide —until now — is whether the celebration of our nation’s flag deserves the same level of constitutional protection. In our lawsuit against Morgan Hill Unified School District, Live Oak High School officials feared that self-identified “Mexican” students offended by the flag’s image would respond with violence. But do those who threaten violence — or who simply claim to be offended by the display of our flag on Cinco de Mayo — have a constitutional right not to be offended? Consider Sony Pictures’ recent decision to cancel the release of a satirical film lampooning North Korean leader Kim Jong Un following terror threats against theaters planning to show it. Or the murder of French cartoonists who satirically depicted the prophet Muhammad. In each case, violence — or the threat of it — was used to suppress ideas offensive to someone. Fear trumped freedom. America’s founding fathers understood that dissent was vital to a free republic, and that the freedom to say things some people find offensive needed to be jealously guarded. Inoffensive speech requires no protection. And no one has a right to not be offended. Yet when a group of patriotic demonstrators sought to convey support for our lawsuit by hoisting the flag outside of Live Oak last year, the school fenced them (and their flags) out of students’ view, preferring instead to create a “unity” banner. Our Constitution does not impose a one-day-per-year calendar restriction on the right to celebrate our flag. In Morgan Hill, race relations will fester until its schools begin teaching respect for our flag — the preeminent symbol of national unity — and freedom of expression, our only safeguard against political orthodoxy. 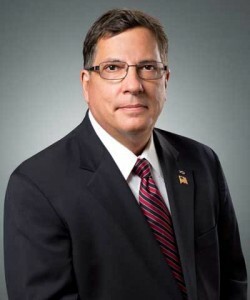 William J. Becker, Jr., Esq., is the founder and director of Freedom X, a nonprofit legal organization that promotes conservative and religious freedom of expression. Freedom X is lead counsel in Dariano v. Morgan Hill Unified School District, currently on appeal to the U.S. Supreme Court.